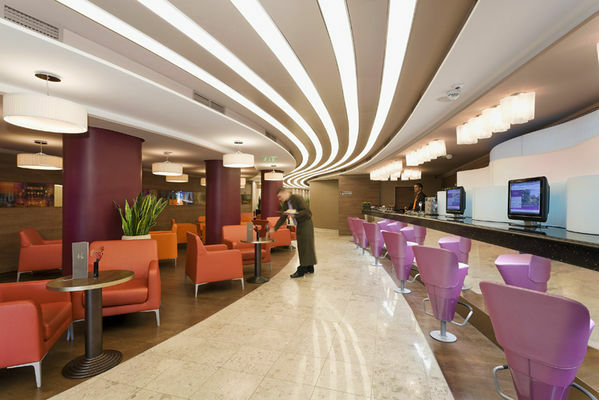 Location: The 4 star Mercure Budapest City Center hotel is located at an exclusive surrounding in the very heart of the historical and business center of Budapest, in Váci street – pedestrian area. You can reach the River Danube and the Parliament within a few minutes walk. 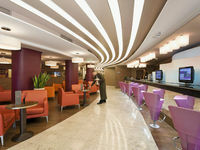 Discover Budapest - the city of senses - and enjoy every minutes of a special and unforgettable stay in our hotel. There is an onsite parking possibility. Accommodation: We offer our guests 227 air-conditioned rooms. Beside the Standard Rooms we provide Privilege or Bio Privilege Rooms and spacious elegant Suits with private sauna to ensure your full comfort and have also special rooms for disabled guests. The comfortable, bright rooms are equipped with smoke alarm, on-demand Pay TV, LCD Screen, Wi-Fi, wired Internet, phone, minibar, in-room safe, bathroom with shower or shower/tub combination and hairdryer. Meeting Rooms and Facilities: The Mercure Budapest City Center hotel is an ideal location for small and medium size events which are prepared and organized with special care and precision. Our dedicated professional staff will ensure you the success of your conference. We offer 7 air-conditioned meeting rooms with natural daylight, with a capacity in our largest conference room up to 120 persons. The following services can be selected for your events: wired and wireless Internet access, projector, video, TV, overhead projector, flip chart, loudspeaker, phone, fax, photocopy, laser printer, computer, laptop etc. Our unique Board Room is a perfect solution with grandiose, stylish atmosphere and latest technology in order to serve the most sophisticated requests as well. • Breakfast is not included in room rates. It is available at 17 EUR per person. • Garage is available for guests at 27 EUR per car per day. • Reservations can be cancelled free of charge until 14:00 on the day of arrival.